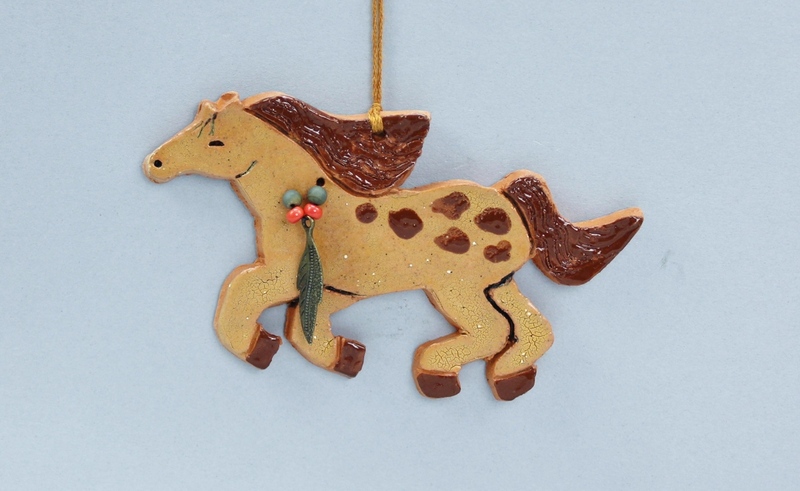 Galloping across the Christmas tree! Decorated with beads and a metal feather. Handmade, hand glazed and painted by Karlene Voepel. Sold as a pair. Since each horse is a unique creation, each one is different! Color choices immediately available are: aqua, gold, brown, cream and raspberry. Please indicate color choices in "Notes". Choose 2.